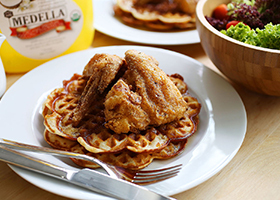 Truly all American food, waffles with fried chicken has been a hit all over the world! Seriously, pair these 2 favourites together and you got something that’s both sweet and savory. The addition of maple syrup when serving just make it even more yummy! Healthy eats need not necessarily be bland tasting, and by mixing some zesty flavours from MARIGOLD 100% Juice we’ve created a wholesome mason jar salad recipe that can be cooked, packed and shared with your loved ones. One of the more popular ways to enjoy yong tau fu. 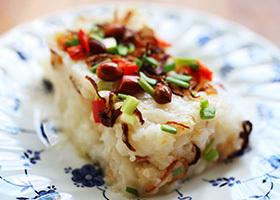 This method of serving yong tau hu originated from Ampang, KL. Many people have this misconception that kuehs are very hard to make. Our yam cake recipe turned out surprisingly simple. The salted egg yolk craze is far from over. 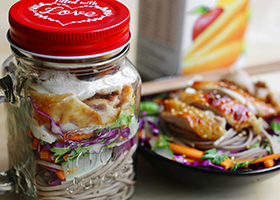 This method of preserving eggs by curing them in brine is believed to have originated from China. 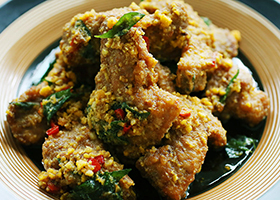 What you get when you combine mashed salted egg yolks with butter? 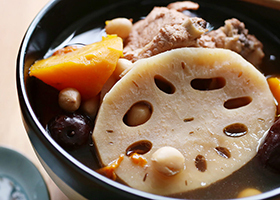 A classic soup in Chinese families, lotus roots are (trivia!) actually the stems of an aquatic plant type. It is mild in taste and pairs really great with peanuts. And of course simmering it with pork ribs gives the soup the unique flavour that we’ve all grown to love. 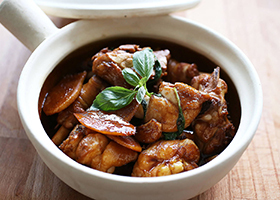 A Chinese dish which originated from Jiang Xi, China. 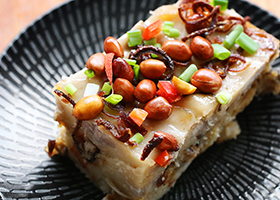 It became wildly popular in Taiwan and since then it has become one of their most iconic dishes. 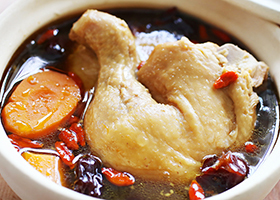 San bei literally means 3 cups of sauces – namely soy sauce, rice wine and sesame oil. 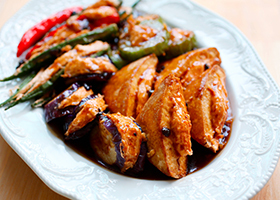 The sauce is cooked on high heat with the chicken which allows it to be reduced and absorbed by the meat. Another awesome pork ribs dish with bold flavours! If you love stout, look no further! First, we fry the pork ribs to crispy perfection, while the inside stays moist and sticky. 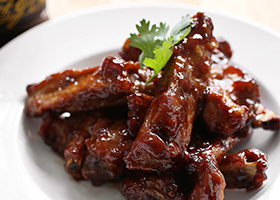 The use of stout in both the marinade and sauce gives the ribs “body” while also imparting a slight bitterness to it. 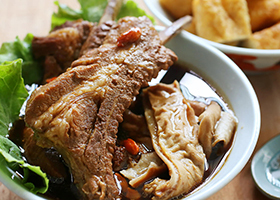 This immensely popular herbal version of Bak Kut Teh is commonly found in Klang. Just looking at the colour of the soup, you can already tell the difference between this and the clear, peppery, garlicky version we made previously. What’s better than cereal prawns? Cereal FISH of course! 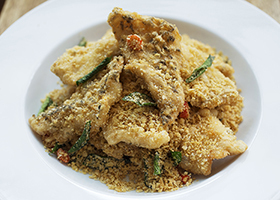 And for this dish we used barramundi belly, this premium cut of fish fits three criterias. Firstly, it comes with delicious melt-in-your-mouth fats. Secondly, the flesh is chunky and tender and lastly, it is even boneless!